How can targeting resistant HIV help current treatment regimes? Dr. Joshi is also currently working on another project, as follows. Funded by Manulife. An alternative treatment modality to existing drug treatments that result in the emergence of HIV resistant strains, is to use antiviral proteins (AVPs) that inhibit HIV entry. 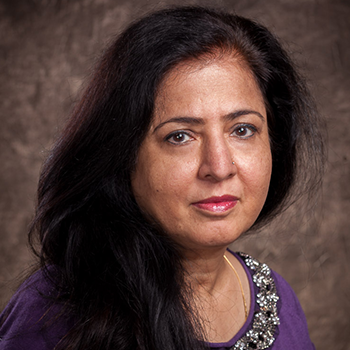 Dr. Sadhna Joshi research developed multifunctional AVPs to block virus attachment to the target cells and inhibit fusion between viral and cellular membranes, thereby inhibiting HIV infection. Dr. Joshi’s study has shown that two bi-functional AVPs, sCD4-scFv17b and sCD4-FIT45 can effectively inhibit HIV infection in vitro. Production and antiviral activity of these proteins will be further evaluated. For treatment, these proteins may be secreted from patients’ own cells that may be genetically modified. For prophylaxis, the antiviral proteins may be continuously secreted from genetically engineered strains of microorganisms that inhabit these sites.